We can hardly believe the holiday season is quickly approaching. Thanksgiving is only a week away, how is that possible? We are so excited to see this amazing community continue to grow and would love for you all to get the chance to meet one another. We have a number of events coming up and hope that you are able to attend some or all of them! Join us for our post "Lose One, Gain One" nutrition challenge celebration. We will hold our normal 9:15am class for those of you who want to get in your regular WOD. Stick around for a family team WOD afterwards from 10:30-11:30, bring a dish to share and we'll eat and hang out. Please RSVP on the whiteboard at the gym. Happy Thanksgiving! Join us for our first annual "Earn your Feast" WOD at 9:15am. Teens and adults are welcome to join in the fun! Holiday WODs are always free and you are welcome to bring family and friends. 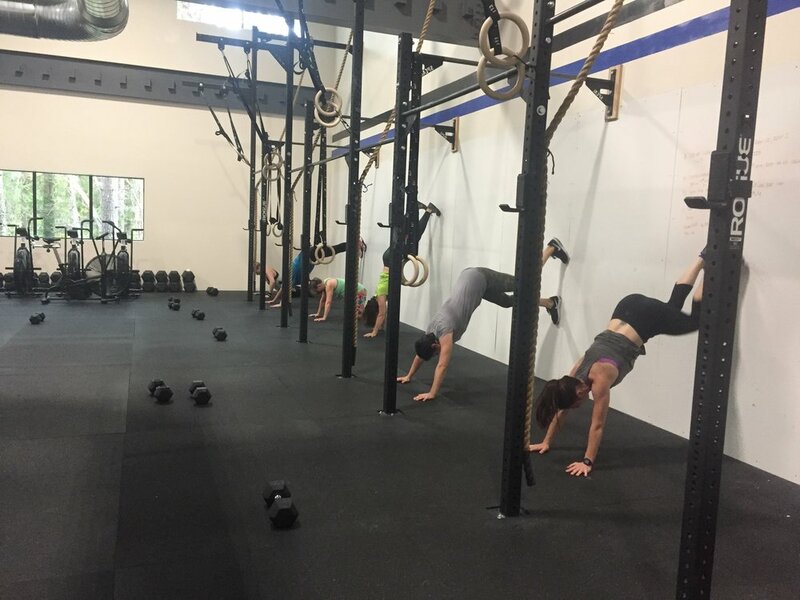 Bring a friend, relative, neighbor or co-worker to see what Bainbridge Island CrossFit is all about. We’ll do a workout suited for all abilities and then head across the parking lot to Fletcher Bay Winery to celebrate with some delectable local wine! Cost: The workout is free! $10 at Fletcher Bay Winery for wine tasting and 20% off bottles too! Please bring an appetizer to share. We are planning an afternoon of games and activities for the entire family. No WOD, just a time to mingle and celebrate the season. Plan to bring a white elephant gift (no purchases...must be something you no longer want from home...the more undesirable the better). We'll also be drawing the winners of the BICF holiday Bingo challenge. Stay tuned for more details!